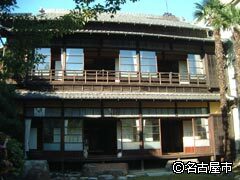 This was the home of Sasuke Toyoda, younger brother of the so-called "king of inventors" Sakichi. 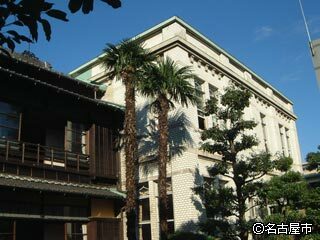 At the time, Sakichi had a residence in Nagahei-cho, while Kiichiro and Risaburo resided in Shirakabe-cho; and while the gate and fence of Risaburo's place remain, Sasuke's is the only Toyoda residence remaining. A rarity for its time, the house is a Western-style wooden design, and features lights on the first floor shaped like lotus buds, as well as hanging decorations and air vents that incorporate the word "Toyota" into a crane motif. <City Bus> 5 minutes' walk from "Shimizuguchi" or "Shirakabe"
<Subway> 15 minutes' walk from "Shiyakusho"